Thorough site inspection of the facility and onsite interview with the customer. Further exploration and analysis of bird control issue based on inspection, customer interview and our in depth industry knowledge and experience. Evaluate the environment, identify bird types, activity levels and attractants. Monitor, evaluate and make adjustments, if necessary. Slip and fall risk – significant liability concern. 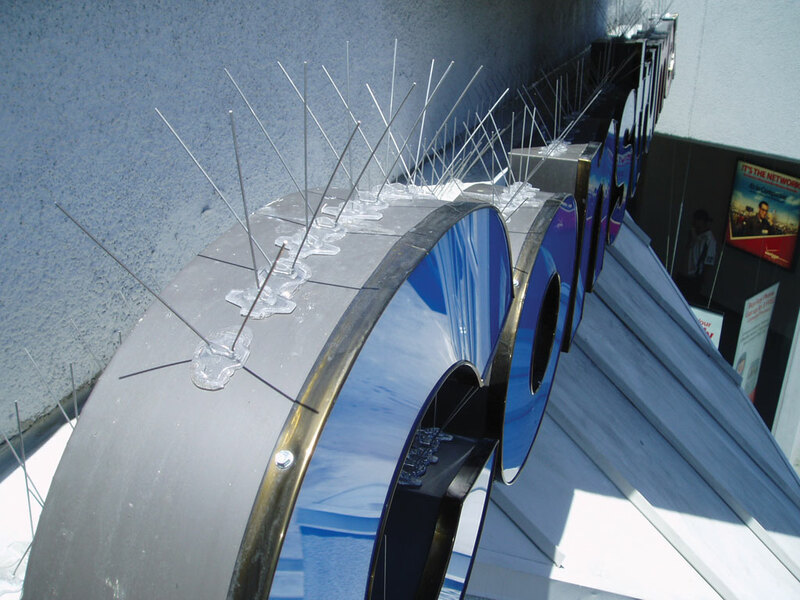 Bird Busters® will begin with de-contaminating and sanitizing the area and then would install Bird Flight Bird Spikes to the roofline and on the sign itself. Bird Spikes are made of thin, stainless steel rods with a U.V. -resistant polycarbonate base. They are a humane approach to dealing with heavy bird pressure as they are blunted to prevent injury to the bird. They are extremely durable and are nearly indiscernible when installed. We would begin by de-contaminating and sanitizing the ledge of the rafters and the garage floor. We would then install Bird Netting along the rafters denying the bird nuisance access to the space. 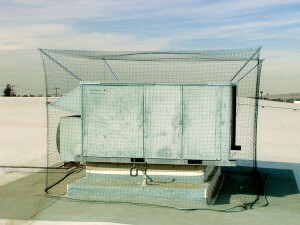 It is the most versatile bird exclusion system available. It is nearly invisible in most situations, is flame resistant, is made from high-density polyethylene twine and is a humane and effective approach to dealing with all bird nuisances. We would begin by installing Bird Netting around the perimeter above the office, fastening the Bird Netting to the top of the warehouse ceiling, excluding the birds from above the office area. We would then de-contaminate and sanitize each office-ceiling tile. 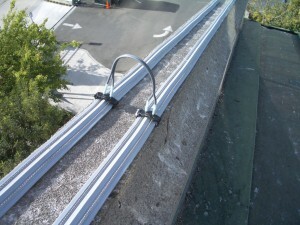 Next we would install Bird-Shock-Flex-Track to the ledge of all of the rafters over the inventory area. 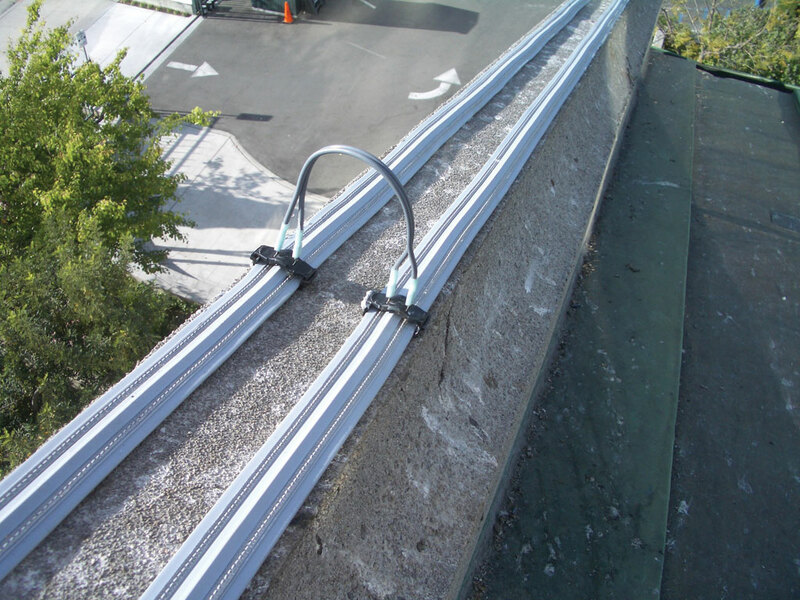 The Bird-Shock-Flex-Track uses a low-level shock system to condition birds to stay away. It can be glued or screwed to the rafters and is virtually invisible.